When we decided to travel the world, we wanted to leave as quickly as possible. The reason it took eight months was that I, Karin-Marijke, had a house to sell and that took time. The short answer: no, not for lovers of the outdoors like we are. From here it was a small step to changing our trip to an overland adventure, even though we didn’t know the word ‘overlanding’ existed yet. We just figured a car would give us more freedom, and it has. 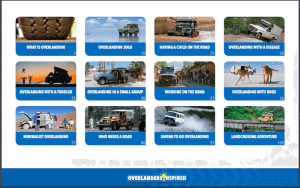 Preparing your Overland Adventure – Yes or No? What about the practical part? How do you prepare for such a journey? Should you prepare at all? Short answer: There is no perfect answer. We bought a beat-up Land Cruiser, took two months of fixing the old rusty beast and to got it equipped, and left. Others prefer taking their time to thoroughly prepare their trip. Since we have gotten so many emails with questions about this preparation phase – about the vehicle, the paperwork, the itinerary – I thought it would be helpful to put together a collection of books that may help you along. 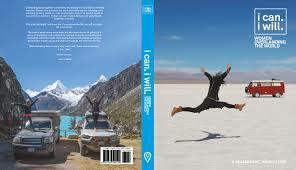 A free e-book in which we have interviewed overlanders who debunk myths to hit the road. They shared their stories in a photo-rich E-book. 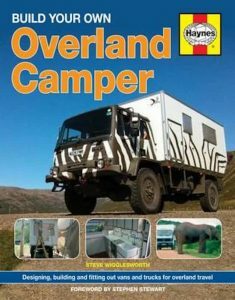 Be careful to whom you give this book before you know it, that person may have bought an overland rig and is off on his/her own overland adventure! Fifty women, with or without a partner, on a motorcycle, bicycle or by car, having driven around the world or across a continent… All stories are unique and may inspire you (or the spouse who needs convincing). Apart from his personal overland adventure through the Americas (The Road Chose Me), Dan Grec wrote two other books on distinct topics. 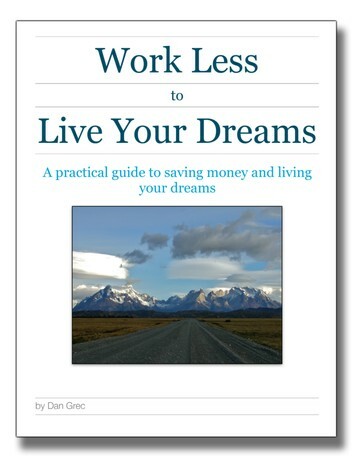 As mentioned above, Dan has written a couple of books. He is currently in Africa (follow him here). 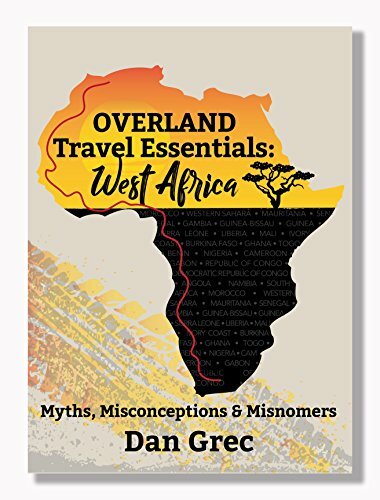 Overland Travel Essentials: West Africa puts commonly-held myths to rest once and for all, and provides practical and real-world information and advice to successfully traverse the coastline in your own vehicle. The Bell Family traveled in Africa and the Americas, which they chronicled their first part of their nomadic life in We Will be Free, followed by Overlanding the Americas; La Lucha. 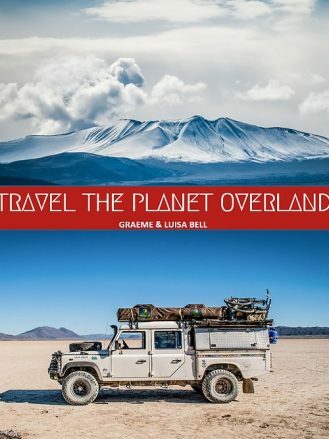 In 2016, Graeme Bell wrote Travel the Planet Overland, in which they share their acquired wisdom of life on the road. 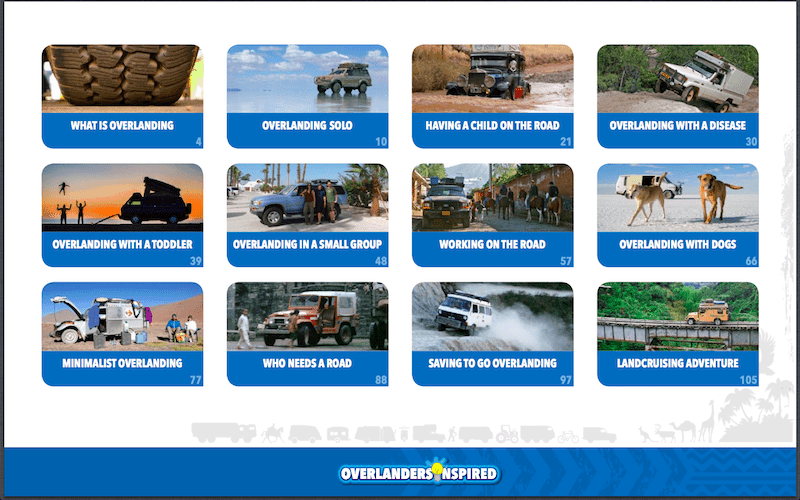 The Overlanders’ Handbook, meanwhile, has been available for a number of years and has been heralded by many overlanders as a perfect guidebook to get you started. The newest edition dates from 2017. Expect topics on planning, vehicle choice, and outlines of routes. 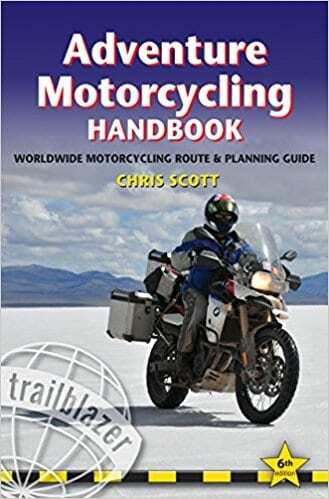 The Adventure Motorcycling Handbook is the version motorcyclists most likely are looking for. 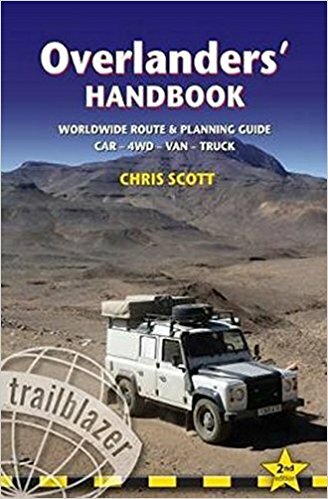 Chris Scott hasn’t left it at that and has written a number of other books on overlanding that you may find useful and/or inspiring (find them here). 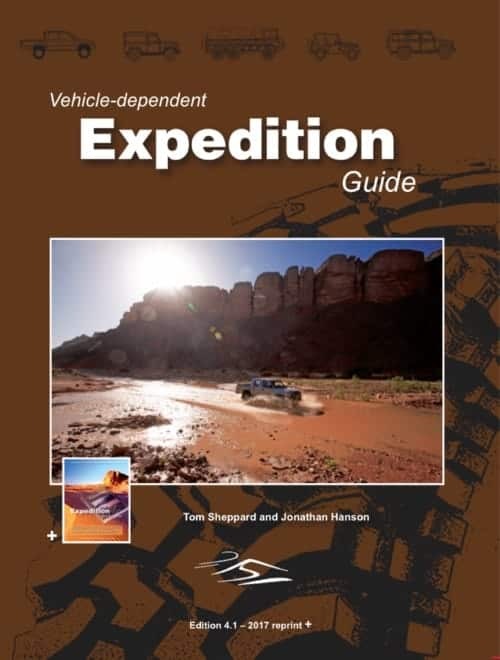 The Vehicle-dependent Expedition Guide (4th edition) by Tom Sheppard and co-authored by Jonathan Hanson are 600 pages on everything you need to know about undertaking an overland expedition, small or big. 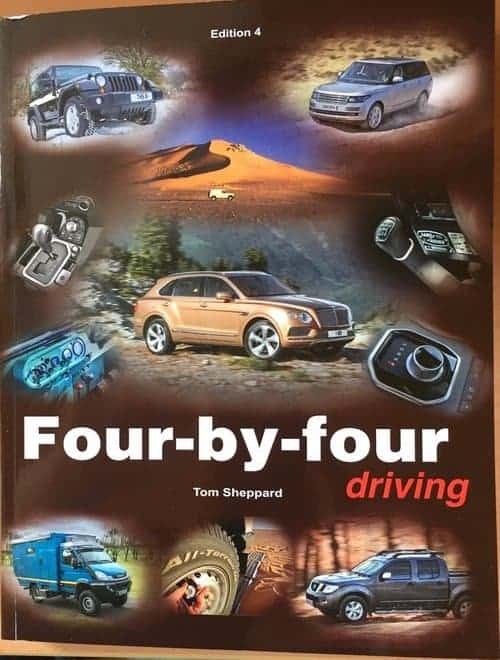 Tom Sheppard has written more books on off-roading and Four-by-Four Driving is his latest. 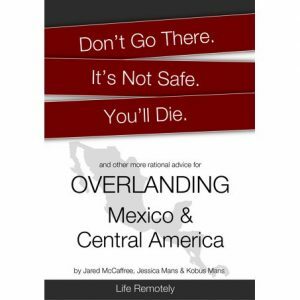 The authors of Liferemotely.com contributed to our free e-book Overlanders Inspired. 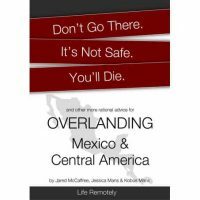 As we never traveled to Central America & Mexico, we never got around to reading their book about overlanding in Mexico & Central America, but many overlanders have shared it in the overland community because it has been so useful to them. 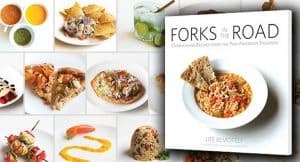 On that note, if you wonder how in the world you’re going to cook some delicious, but easy, diners along the way, Life Remotely also wrote Forks in the Road, in which they share some of their favorite recipes. 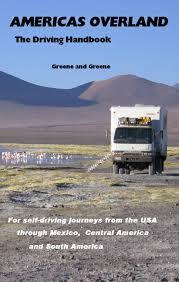 Americas Overland; the Driving Handbook, by Donald Greene, is another book specifically written for overlanding on the Americas. 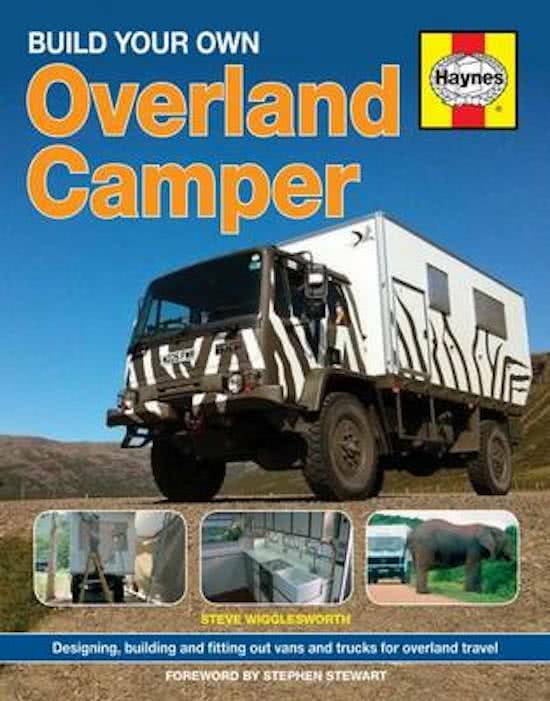 Build your Own Overland Camper by Steven Wigglesworth may help you get started to building your rig into a comfortable and/or practical home for your great trip. 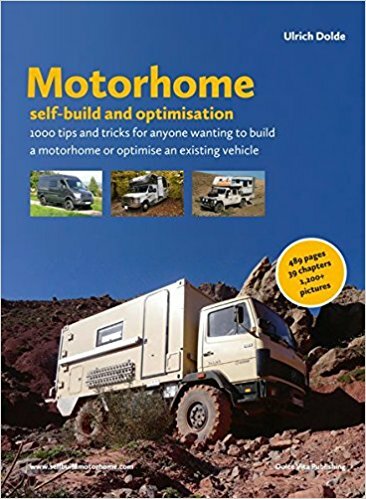 In Motorhome Self-build and Optimisation, Ulrich Dolde details in almost 500 pages with 1200 photos how he built his motorhome. What have been great books for you to get started? Which ones did we miss? Please share in the comment section below. Thanks. In our newsletter you can find out. You’ll also stay up to date on our whereabouts, Coen’s latest designs and on what other adventurers are doing. Glad you enjoyed this. 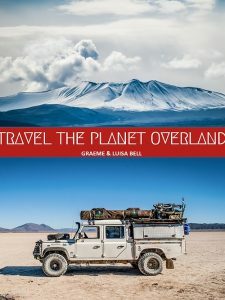 What’s your favorite book on overlanding? Hi, Guys! Here Martin, from Big Manzana, Paraguay. Glad to see your are enjoying. Big hugs to you both! Hello Martin, how good of you to hear from you. How are you doing? We are still going strong. Now in Russia and on our way to Mongolia.